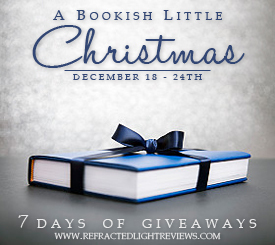 Welcome to A Bookish Little Christmas…Day SEVEN!!! Welcome to the last day in my seven-day run of giveaways to say thank you and “Merry Christmas” to all of you wonderful followers! So what do I have for you today? 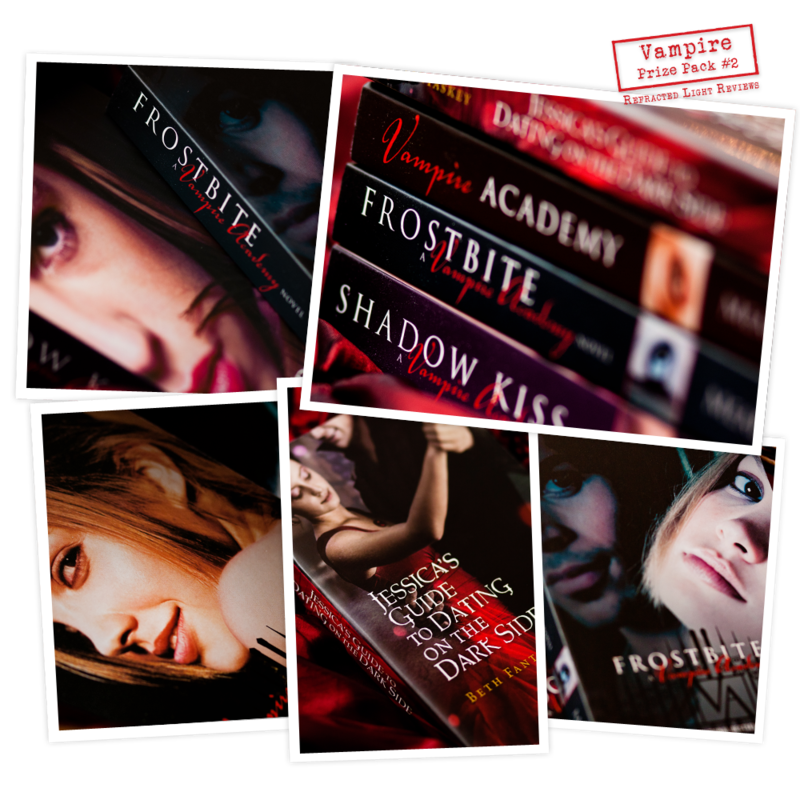 Due to the amount of giveaways I’m running this month and the price of overseas shipping costs, this particular 4-book prize pack is open to residents of the United States and Canada ONLY. BUT if you’re an international follower, you can still enter. Instead of the prize pack, you’ll be able to choose TWO (2) books from the four listed above, and I will order those for you from The Book Depository. Please note that prize packs will be mailed/ordered the week of January 1st due to the holiday. Please fill out the Rafflecopter form to enter. This is mandatory. Comments will not be counted as your mandatory entry. You must be a GFC or Feedburner follower to enter. Complete rules and conditions are listed below the Rafflecopter form. Oooo, sadly I love vampire books so I’d love to read these! I’v really enjoyed your Bookish Little Christmas giveaway! Thanks so much for hosting it and allowing us a chance to win some amazing books. Happy Holidays! Thanks a lot for the International giveaway! And Merry Xmas! Oooo! I love vampires! Thanks for the giveaway and have a Merry Christmas! I enjoyed the review for The Strange Case of Finley Jane. I went and got for my nook and on my TBR pile now. I can’t wait to read this book. I saw your review and have seen a couple others and everyone has liked it. What a great contest. Thanks for the chance to win. What a great bunch of books. Merry Christmas and thanks for the 7 awesome days of A Bookish Little Christmas!! I commented on your review for Callum and Harper. Aww, I would enter this but I have all these books already! Good luck to everyone and happy holidays!